Vatican City, 29 December 2012 (VIS) - This afternoon before more than 30,000 people gathered in St. Peter's Square, Benedict XVI prayed with the participants in the 35th European meeting of young people of the Taize Community. 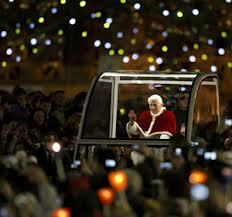 Many local families hosted those who had made the pilgrimage to Rome for this occasion. 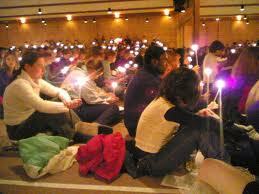 The prayer followed the approach typical of the Taize Community. Following an address by Br. Alois, Prior of the Taize Community, the Holy Father spoke to the young people present in several languages. "You have come in large numbers from all over Europe and also from other continents to pray at the tombs of Saints Peter and Paul", the Pope said. "The faith that motivated these two great Apostles of Jesus is the same faith that has inspired your pilgrimage. During the year that is about to begin, you propose to free the wellsprings of trust in God in order to live it in your daily lives. 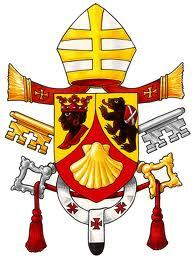 I am pleased that in this way you have embraced the intentions of the Year of Faith, which began in October". In English, Benedict XVI recalled that "just over seventy years ago, Brother Roger established the Taize Community. Thousands of young people from all over the world continue to go there to seek meaning for their lives". It was precisely to support them "on their journey to Christ" that Brother Roger established this "pilgrimage of trust on earth". "A tireless witness to the Gospel of peace and reconciliation, ardently committed to an ecumenism of holiness, Brother Roger encouraged all those who passed through Taize to become seekers of communion. We should listen in our hearts to his spiritually lived ecumenism, and let ourselves be guided by his witness towards an ecumenism which is truly interiorised and spiritualised. 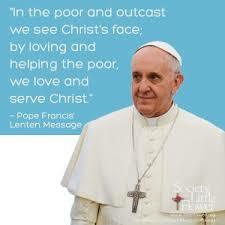 Following his example, may all of you be bearers of this message of unity. I assure you of the irrevocable commitment of the Catholic Church to continue seeking the paths of reconciliation leading to the visible unity of Christians. And so this evening I greet with special affection those among you who are Orthodox or Protestants". In French, the Pope continued: "Christ now poses to you the question He addressed to His disciples: 'Who do you say that I am?' ... and wishes to receive from each one of you an answer that comes not from constraint or from fear, but from your profound freedom. It is in responding to this question that your life finds its fullest meaning. ... The Word of God, according to the Second Letter of Peter, is like 'a lamp shining in a dark place', that you would do well to attend to 'until day dawns and the morning star rises in your hearts'. You have understood this though: if the morning star is to rise in your hearts this means that it is not always there. At times evil and the suffering of the innocent give rise to doubt and confusion. At these times, our 'yes' to Christ becomes difficult. But this doubt does not make us unbelievers! Jesus did not abandoned the man in the Gospel who exclaimed 'I believe; Help my unbelief! '".